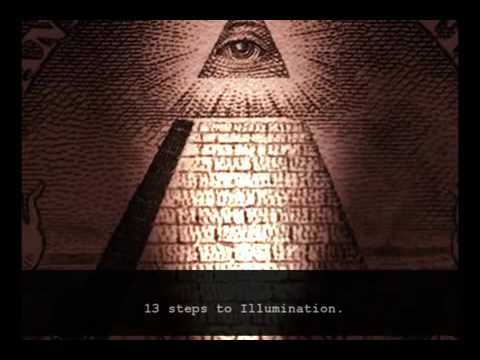 Alex Jones' guest, in the video, Steve Quayle (SteveQuayle.com) seem so be a knowledgeable, serious, Christian. 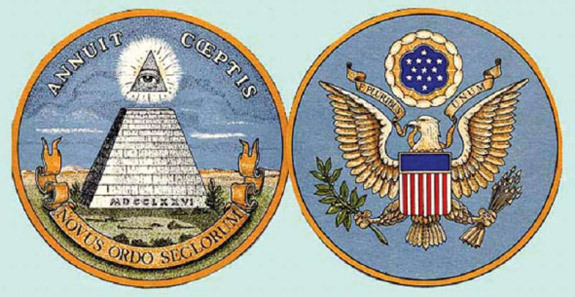 Occult Secrets Of The Elite Revealed - new Infowars.com video 1:08 hours. Thought provoking! Worth the 1:08 hours viewing time. Lots of information. We must be, or get, up close, personal, and serious with The Lord Jesus Christ and strongly encourage everyone we meet to do the same, IMMEDIATELY. We need to pray for and be looking for the Rapture - our only hope, I think! We should appreciate things from God's perspective. The Lord Jesus Christ, in Luke 19, pronounced terrible judgement on Jerusalem for its failure to grasp the seriousness of the occasion of his coming, and for their national rejection of him. They had had such huge advantage in obtaining eternal life through the personal ministry of Jesus Christ among them in those days. Yet as a nation they rejected him. Many, of course, did believe and were the early Christians and Church. These were largely spared. 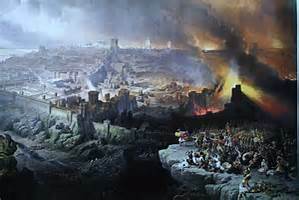 This Holocaust was accomplished in the horrific destruction of Jerusalem by Titus' Roman army in 70A.D. The present West, Europe, the United States, etc., have had the huge benefit of the preaching and teachings of Jesus Christ through the Protestant Reformation. Yet, many have failed to take seriously Jesus Christ. 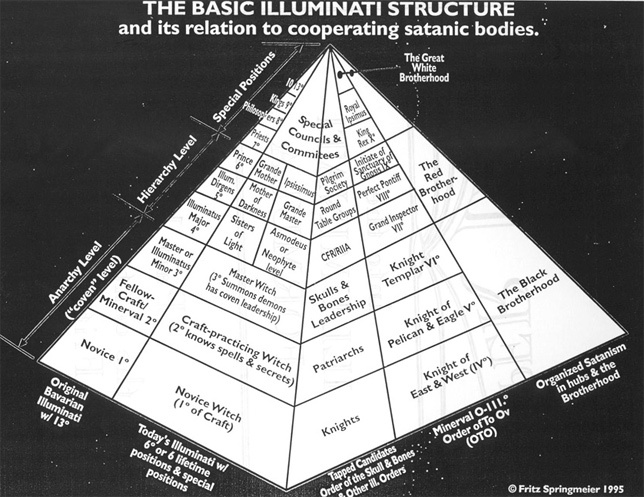 Additionally, acceptance of homosexuality, and of wrongful purposes and lives of men and women have become common. So, God's serious judgement is fully due, and seems to be imminent. 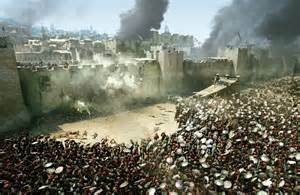 Siege of Jerusalem (AD 70) - Wikipedia. As the legions charged in, neither persuasion nor threat could check their impetuosity: passion alone was in command. Crowded together around the entrances many were trampled by their friends, many fell among the still hot and smoking ruins of the colonnades and died as miserably as the defeated. As they neared the Sanctuary they pretended not even to hear Caesar's commands and urged the men in front to throw in more firebrands. The partisans were no longer in a position to help; everywhere was slaughter and flight. Most of the victims were peaceful citizens, weak and unarmed, butchered wherever they were caught. Round the Altar the heaps of corpses grew higher and higher, while down the Sanctuary steps poured a river of blood and the bodies of those killed at the top slithered to the bottom." Luke's account of the official coming of Jesus Christ to Jerusalem on what we call Palm Sunday, and the terrible judgement he pronounced. 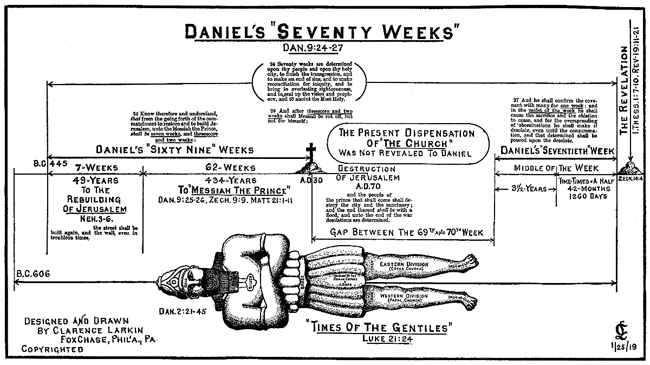 Note: The famous "70 Weeks of Daniel" prophesy in the Old Testament passage of Daniel 9:24-27 has been explained and gives the basis for Jesus Christ's statements that they should have known the exact day of his coming.